22 April 2019 23 April 2019 | Marsha. Hi there! 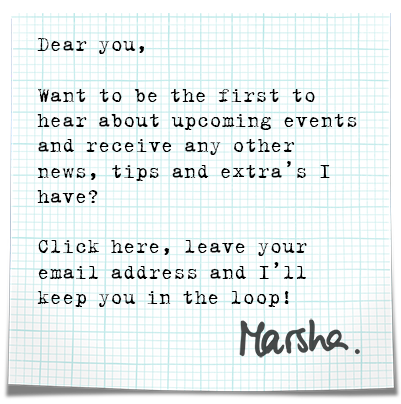 I’ve got a special post for you today! In February and March I worked my way through a wonderful little Resketch journal as part of the StencilGirl® Products & Resketch Color Collaboration organised by StencilGirl® columnist Tina Walker. For this collaboration, all of the participants received a journal gifted by Resketch. I chose the 3.5 x 5-inch journal. To fill the journal we were only allowed to use ONE colour + black and white. I chose ultramarine. And, as this was a collab for the StencilGirl® Talk Blog, the only stencils we were allowed to use were stencils by StencilGirl® Products. All of the other materials I used were my own choice. Watch the video above for a quick flip through of the journal! Tina’s column about the collab is up on the StencilGirl® Talk Blog today and to celebrate she’s also hosting a GIVEAWAY! We are giving away a random selection of Resketch journals AND a $25 StencilGirl® gift certificate to ONE LUCKY PERSON! Make sure to comment below to let us know you’ve visited and let us know what color your journal would be. 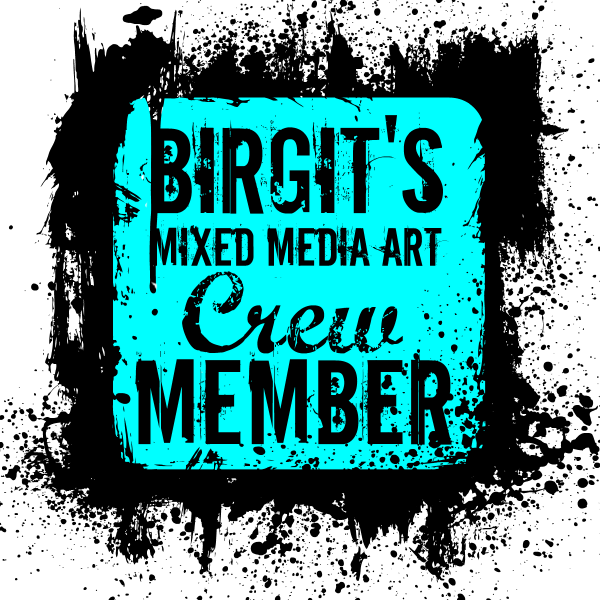 Visit each artist(s) blog for more chances to win! We will pick ONE winner on April 29th, 2019 so watch this space to see if you are a winner! (Comments due no later than April 28th midnight EST). Please note that the journal featured in this post was gifted to me by Resketch. I’m also a columnist for the StencilGirl® Talk Blog, so though I did not receive any compensation for participating in this collaboration, the majority of the stencils I used to fill the pages were previously given to me or purchased with a discount! 11 February 2019 11 February 2019 | Marsha. There’s a new column up on the StencilGirl® Talk blog! In it, I share a video in which you can see me experiment with printing a still life inspired by food photography and the 17th-century Dutch master painters. Go to the StencilGirl® Talk Blog to read the column and to see the complete list of stencils, masks and materials used! Creative Jumpstart 2019 | Go ahead, jump! 26 November 2018 25 November 2018 | Marsha. I’m super excited to announce that I’ll be participating as an artist in Creative JumpStart (CJS) 2019 (aff. link)! If you’re not familiar with CJS, it’s a one-of-a-kind online event organised by Nathalie Kalbach to kick your creativity into high gear in January 2019. You’ll learn techniques, discover new materials, and connect with other artists and crafters. Throughout January you will get access to a new video by one of the featured artists every day. I’m proud to be one of those artists, called ‘JumpStarters’. Head on over to Nathalie’s website to sign up and for more details! You get 31 downloadable videos – over 5 hours worth of video content – for just 40 USD if you sign up TODAY (November 26, 2018) before 11:59 pm EST. Afterwards, it will be 45 USD until November 30th 2018, and 50 USD until December 31st 2018, before it goes to its regular sale price of 60 USD on January 1st 2019. So what are you are waiting for?! Sign up here! 12 November 2018 | Marsha. In it, I tell you all about my gratitude journal, you get a glimpse of what I did in London last month, and I share how I tried my hand at cyanotype printing using StencilGirl® Product stencils! 10 October 2018 11 February 2019 | Marsha. Hi there! It’s October, it’s the 10th… Time for a new Inspired by post! September is like the start of a new year, isn’t it? It’s when a new school year starts, we return to the ‘regular’ routines, and it’s when we exchange the shorts and flip-flops for sweaters and scarves. I feel like September was like that for me this year. I didn’t see it coming, but all of a sudden I started a new course, I started a new part-time job, and I really had to rethink my routines and the way I go about my days. So I’ve been making plans, I’ve made a big schedule that I’ve taped to the inside of a cabinet, I’ve brainstormed and researched a ton for upcoming trips, workshops, assignments and… Of course, I can’t tell you anything about most of it yet! All will be revealed in time though! For now, let’s talk about what I have been creating this month and where my inspiration came from. The course I’m taking is a printmaking course. I’ve wanted to take this course for years now, and I was super lucky to get accepted into it this year. I feel so happy and immensely grateful! Four weeks in I’ve already learned a ton. I’ve also realised that I know way more than I thought I knew. The course isn’t what I expected at all. But in the very best way possible! I look forward to it every week, and I always come home inspired to research more, to learn more and to create more. Last week I caught up with all the Stencilfied Journal prompts I still had to do since last months blog post. The current prompt is #19, so that means I can share the results of seven prompts with you. From June through November fellow StencilGirl® Columnist Tina Walker is posting one prompt a week (24 in total), and we’re creating a ‘Wreck this Journal’-esque journal StencilGirl® style. Check Tina’s Instagram or Facebook feed to find out more! 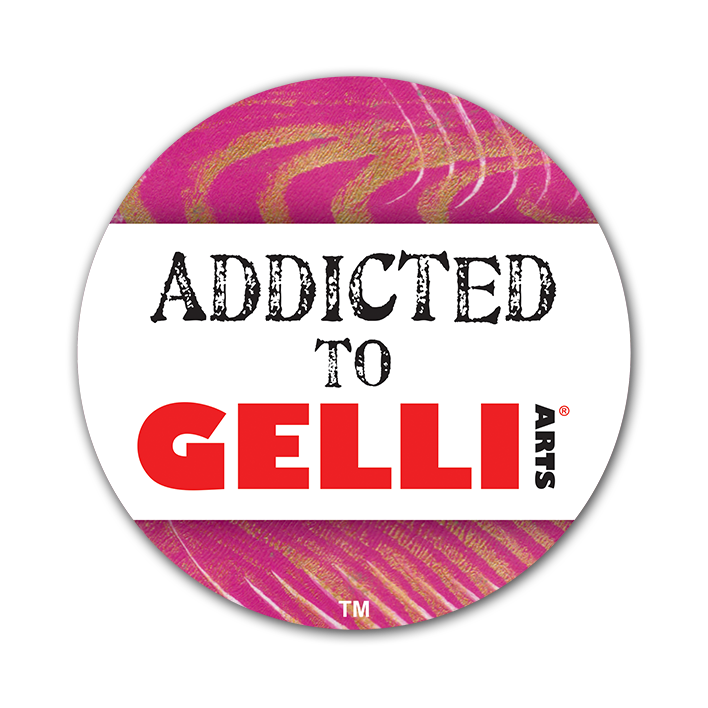 For my recent Gelli Arts® video tutorial, I was inspired by… myself. You know how sometimes you can combine a couple of older ideas to form a new idea? That’s precisely what happened here. OK, that’s it for this month’s edition of Inspired by! I’m curious to see and read what has inspired Riikka this month. Hop on over to Paperiliitin to see it for yourself! 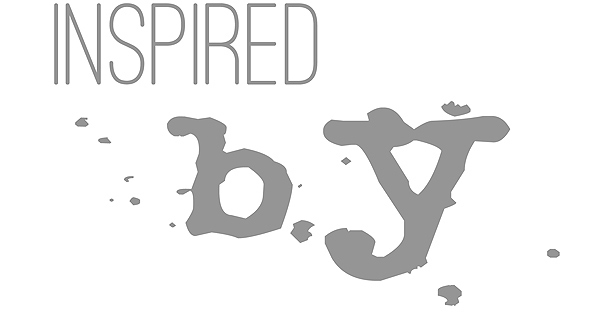 Inspired by is a blog series by my friend Riikka and I. On the 10th of each month, we share what inspired us that month with you and each other. It can be anything from a person, a film, a book, a painting, to an item, something found in nature or in the city, a colour scheme or some materials we bought or discovered. We will also share how the source of inspiration affects our work. Consider it a window into our creative minds! 10 September 2018 11 February 2019 | Marsha. Hi there! It’s September, it’s the 10th… And it’s time for a new Inspired by post! Autumn snuck up on me, and now it’s here to stay. Summer was hot and dry, but halfway through August moisture came in out of nowhere: it started quite innocently with me dunking my Stencilfied Journal in tea (on purpose) and intense workouts in new surroundings which caused a bucketload of sweat. But by the end of August, it was flowing. There were tears of grief, I dunked my MacBook in tea (not on purpose) and then last week, on top of that, it poured rain not only outside, but also inside of our house. And yes, I freaked out. But at the same time, I tried my best to keep calm. Because what else could I do. My aunt is never coming back, but I’m grateful for the memories and the fact that she was a part of my life for such a long time. My MacBook was rescued. I’m ecstatic to be typing on it as we speak and I’m super thankful that I had my old laptop and my husband’s laptop as a backup to meet my deadlines while this computer was away for repairs. The jury is still out on the dormer on our roof and the damage inside. The culprit was a blockage in the drain, and it looks like it has wreaked havoc for a considerable amount of time because we weren’t aware of it. We think the dormer is beyond repair, but thankfully it doesn’t look like it’s going to cause any more immediate damage inside now that the blockage is gone. So… was I inspired by anything while all of this was going on? In short: I was. But it wasn’t necessarily the kind of inspiration that contributes to creative output. I just had a lot to contemplate (again). And I think it’s time I made some (more) changes going forward. But let’s see what got me creating first. I think this may have been the day the accidents started to happen. My mom hurt her hand in the morning we went to see the Paula Modersohn-Becker exhibition at the Rijksmuseum Twenthe together, and we ended up seeing a doctor after our visit there. Modersohn-Becker’s work is mesmerising and walking through the exhibition I wondered a lot about how her style would have developed had she lived a longer life. It also makes you think about what other women artists would have painted had they been taken seriously and given the same chances as male painters. Because Modesohn-Becker’s approach was so different from that of the men in her community at the time and they didn’t speak very highly of it. Even her own husband criticised her painting style! I would love to see more of her work and to see if I can learn more about her. The Stencilfied Journal is currently at prompt #15, but I’m still stuck at prompt #13. Which is the one that involves stencilling on/with the sole of a shoe and that was something I just could not deal with at the time. I will catch up soon though! From June through September fellow StencilGirl® Columnist Tina Walker is posting one prompt a week (16 in total, but there are more to come! ), and we’re creating a ‘Wreck this Journal’-esque journal StencilGirl® style. Facebook sent me a message saying that someone had suggested I change my website URL to my Linktree bio link. Which is ridiculous, because Linktree isn’t a website, nor is it mine and, although you can find all the relevant links there, it’s obviously never going to replace my site. That said, I kind of got the point this person was making. Because I haven’t been as active in updating my website in the same way I’ve been updating my Linktree bio link. So I took this nudge to do better, and I spent a couple of days on a long overdue website update. It isn’t done yet, for the obvious reasons I mentioned at the top of this post, and the website still may need a more significant overhaul at some point, but I’m happy with the solutions I came up with for now. Please let me know what you think! I would love to hear from you, especially if there is something you feel is missing from the site! Of course, I was inspired to buy a couple of fashion magazines! Just to forget all about them until now… LOL! I also asked my Instagram friends about their favourite home decor magazines because I couldn’t find one I liked. All of my Dutch friends answered that they miss ‘101 Woonideeën’ terribly, which is a Dutch magazine that unfortunately doesn’t exist anymore. The other suggestions were of British or American magazines that I can’t buy locally, but that I might be able to find at Schiphol or in an international bookstore in Amsterdam. I will look into those soon, so… To be continued! Wes Anderson’s ‘Isle of Dogs’ wasn’t part of my inspiration this month, but it has to be mentioned because it was the primary source of inspiration for my most recent column for StencilGirl® Products. I approached this column as I would do an oldfashioned Inspired by post: I went all the way in, researched everything I could think of and even watched Japanese anime in the process. Stop-motion filmmaking also came up in a chat I had with Marieke Blokland, and she mentioned the stop-motion filmmaker Trisha Zemp to me. And while I was searching for her videos on YouTube, I also came across videos that featured Terry Gilliam. So very inspiring!!! @the.flo.show This is the account of Flore Vallery-Radot. Her Insta Stories are such a pleasure to watch. Flore is currently in Greece, and before that, she spent a couple of weeks in Paris. In her stories, she takes you along on her on her daily walks and errands and shows you all of her favourite shops, foods, views, cinemas and restaurants. @lerenvankunst.nl This account is run by a Dutch lady called Roumayne, who goes live every weekday to share a quick creativity exercise that you can do at home. I’ve watched the daily ‘show’ each day of last week, and it was super fun to play along. @plasticdieet / @hetzerowasteproject These accounts do not fall into the ‘fun’ category, but they are inspiring. Both focus on low impact, zero waste and plastic-free living. The first one is currently hosting a challenge called ‘the plastic diet’ and the second one is by two local ladies that have a book on zero waste coming out this week. There is so much I can do to reduce the plastic in my household. Being aware of it is only the first step. Hop on over to Paperiliitin to see what has inspired Riikka this month!